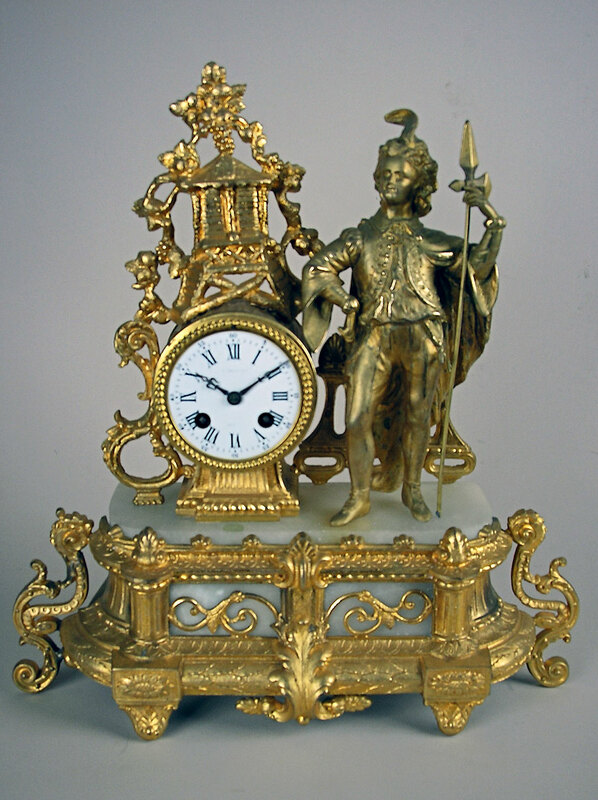 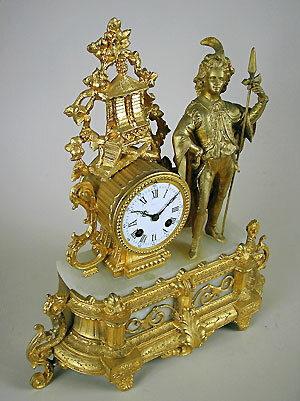 This is a French gilt metal figural clock by Japy Freres of France. 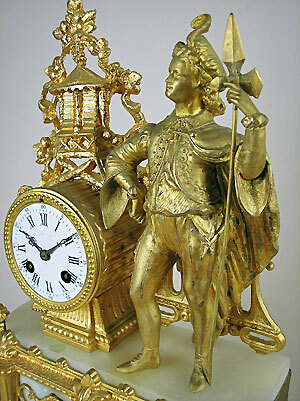 The clock has an alabaster decoration depicting a knight standing beside a drum containing the eight-day bell striking movement. 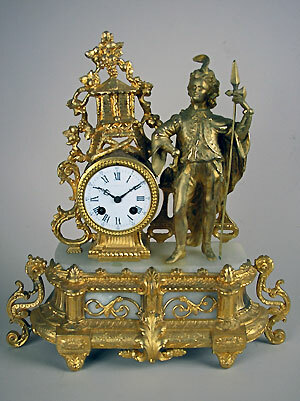 The clock has a Roman porcelain dial.